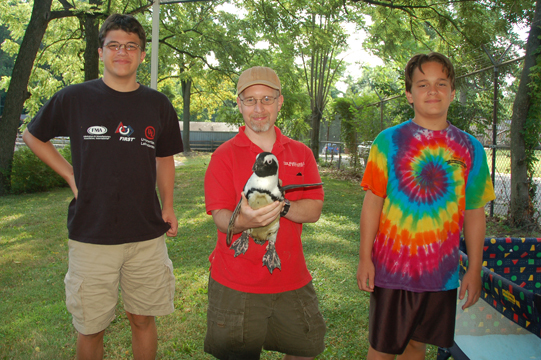 Adam, Tux and Tails at Breakfast with the Penguins in 2009. 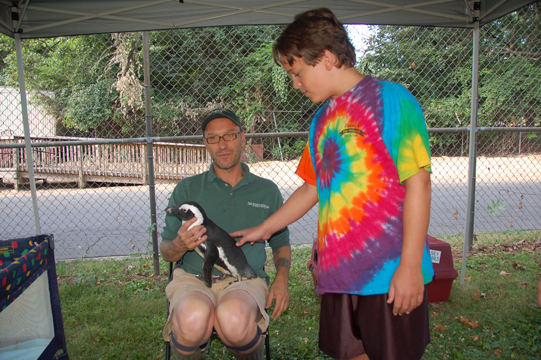 This year we were allowed to pet the penguins, although one at a time and very gently. The zoo had 22 baby penguins this year. Many of them will not stay in the colony of about 50 adults, but will be sent to breed at other zoos. We had breakfast at big covered tables, then went down to Rock Island to toss fish to the penguins. Later, the keepers hand-fed the birds to make sure everyone ate enough fish. A volunteer holds one of the ambassadors so people can pet her. 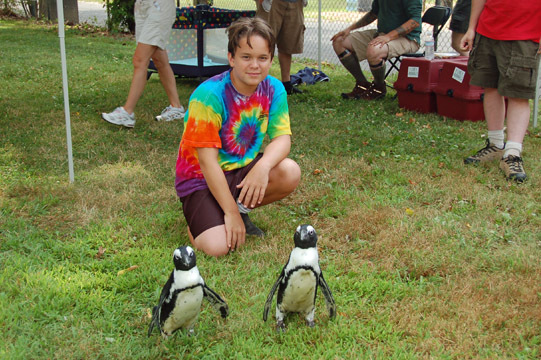 My kids, a volunteer and a penguin volunteer. ...and with Adam and others watching them. 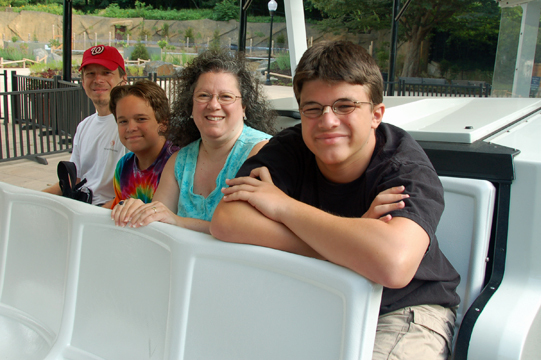 ...and their relatives on Rock Island. Two juvenile penguins consider swimming. 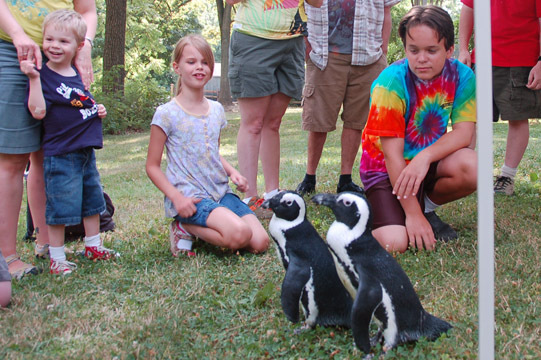 After a while, Tux and Tails got tired of people petting them and were put in their pack-and-play, where they made the honking noises for which jackass penguins are named. And eventually we got tired and took the tram back to the zoo entrance!